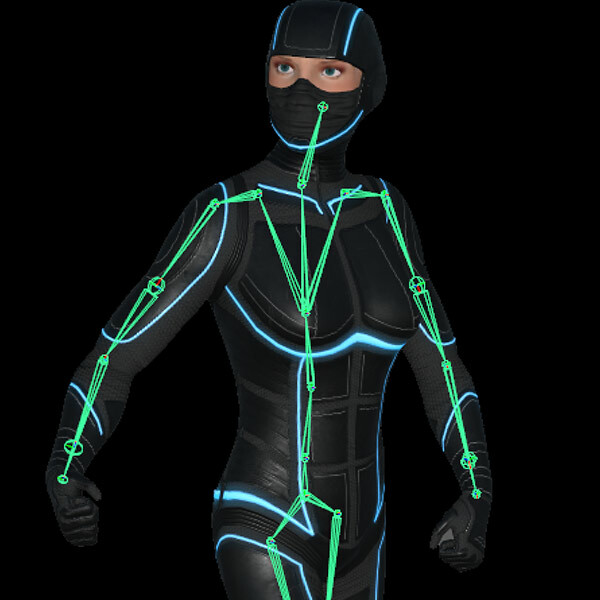 Qualisys provides accurate mocap data in the form of optical markers or as solved characters. Skeletal data can be exported or streamed in real-time directly into the game engine or animation software of your liking. We provide direct streaming into Unity, Unreal Engine, Maya, MotionBuilder, and iClone LIVE via full-featured plugins available for download on the Qualisys dashboard or as open source projects on Github. 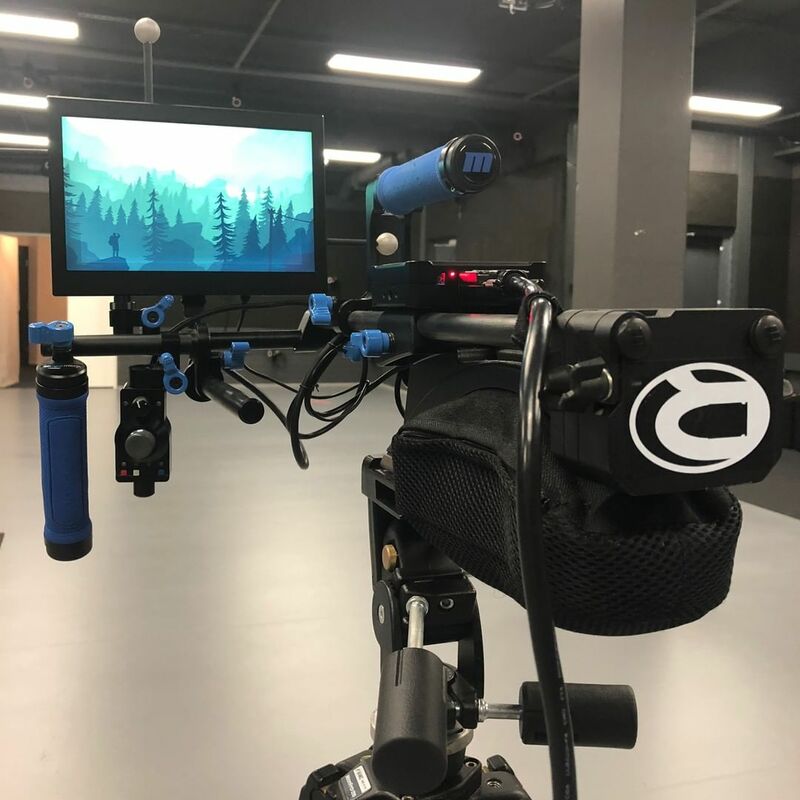 An FBX is the easiest way to read mocap data in external gaming or animation software. 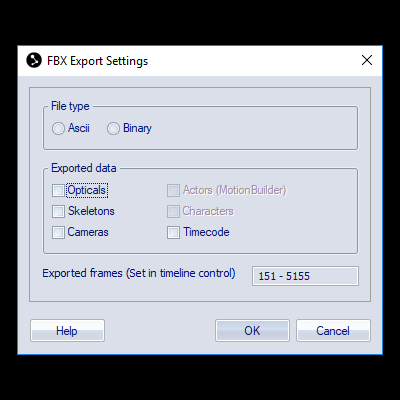 Our FBX files contain characters, skeletons, optical markers and MotionBuilder actors. Time-codes can also be exported in case you need to sync with other data. Qualisys provides a robust skeleton solver that lets you solve one or more actors in real-time. Capturing crouching, wrestling and lying on the floor has never been this straight-forward. By combining skeleton solving with AIM, you can capture advanced setups in a simplified workflow. 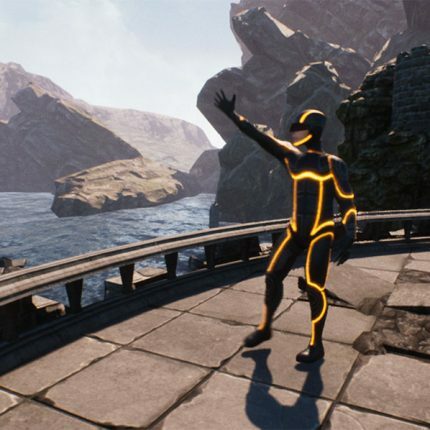 QTM Connect for Unreal includes functionality for streaming skeletons, 3D marker data and rigid bodies (6DOF) in real-time from a Qualisys motion capture system to Unreal Engine. Add 3D marker positions to your actor components, or let rigid body position and orientation manipulate them. Mapping skeletons to a mesh is handled by Unreal Engine’s LiveLink plugin (a common interface for streaming and consuming animation data from external sources). QTM Connect for Unreal is built upon our open source C++ SDK. QTM Connect for Unreal is available on GitHub. QTM Connect for Unity includes functionality for real-time streaming of skeletons, 3D marker data, rigid body objects (6DOF), gaze vectors and analog data. Different data types are available as scripts in Unity that can be connected to Unity GameObjects. Animating characters is straightforward with automatic mapping between Unity’s Mecanim human bones and QTM segments. Just add the skeleton script, set the actor name of the QTM skeleton and press play. Using a QTM rigid body to set position and orientation of a GameObject is equally easy. Just add a script to the GameObject and set the name of the QTM rigid body. QTM Connect for Unity is built upon our open source C# SDK. Both the Unity package and the C# SDK are available on GitHub. 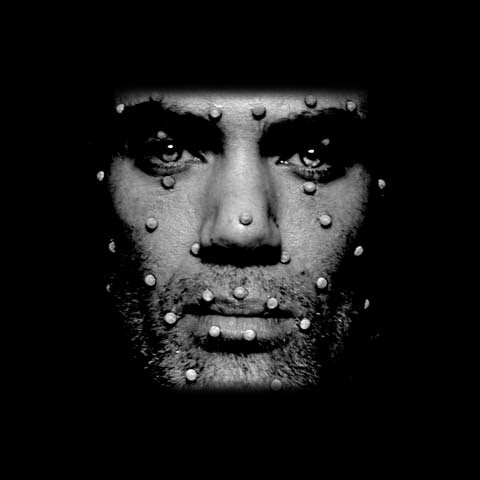 Synchronize the motion capture with high definition reference video, facial capture and audio. Our unique AIM system allows you to easily identify markers regardless of marker set. Just define your model, feed it with sample motion data and you are ready to go. Enable directors and cinematographers to move around the set and see the live performance through a virtual camera. QTM Connect for Maya includes functionality for streaming skeletons, 3D marker data and rigid bodies (6DOF) in real-time directly in Maya. 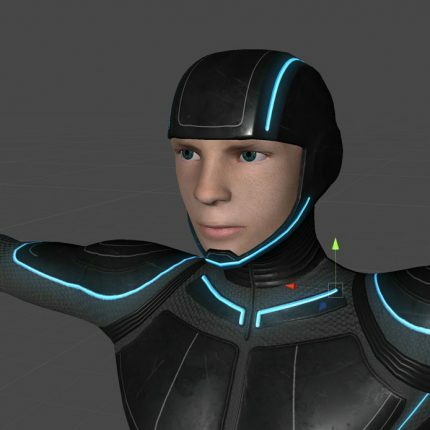 Receive your mocap data in Maya as joints or locators and animate characters or other types of objects. Since our joint naming convention works seamlessly with HumanIK, getting your work space up and running is extremely quick. QTM Connect for Maya is open source to make it easy for any kind of customization and forward development. It uses our open source Python SDK. Both QTM Connect for Maya and the Python SDK are available on GitHub. 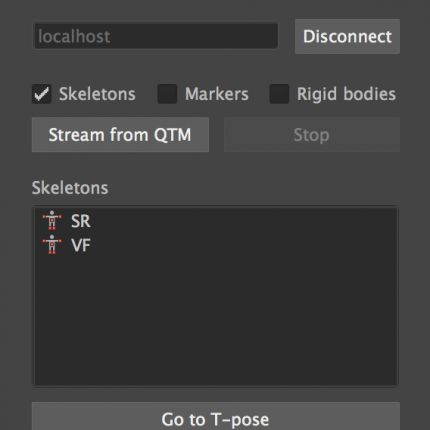 QTM Connect for MotionBuilder includes functionality for streaming skeletons and 3D marker data in real-time. The Qualisys Skeleton Device handles the streaming of skeleton segment transforms (6DOF) from QTM. The skeleton data is automatically characterized, which makes it very easy to connect a streamed skeleton to any rigged character. 3D markers are streamed using the Qualisys Optical Device and can be used to map an animated character with optical 3D data. QTM Connect for MotionBuilder uses our open source C++ SDK available on Github. Qualisys supports real-time skeleton streaming in iClone Motion LIVE using a Qualisys motion capture system. Reallusion uses the Qualisys open-source SDK to integrate real-time skeleton streaming from Qualisys Track Manager. 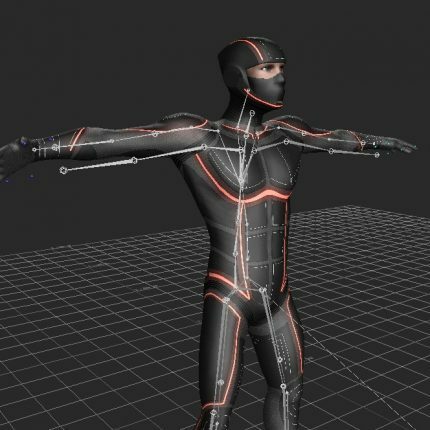 The skeleton data is automatically characterized to directly connect a streamed skeleton to any royalty-free, iClone or Character Creator 3 pre-rigged avatar. 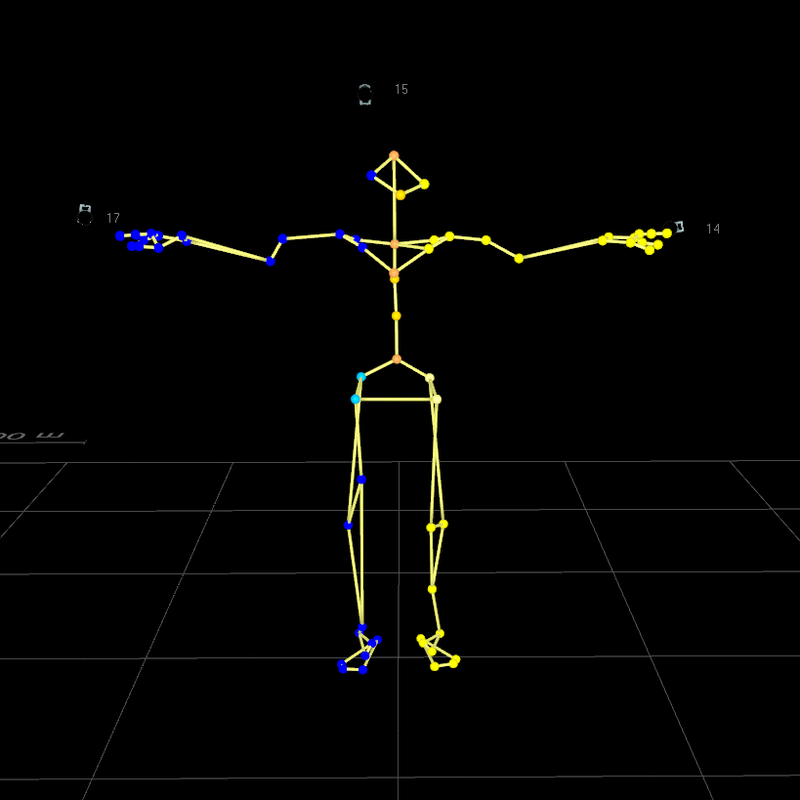 Mapping skeletons to a mesh is handled by iClone’s Motion LIVE system (a universal motion capture platform that simultaneously connects multiple mocap hardware for face, hand and body).